Blowout Sale! 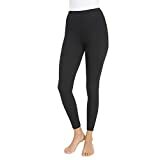 Up to 60% off on Leggings at Femi Store. Top brands include Leggings Depot, Just One, Lyssé, Unique Styles, ililily, Poetic Justice, Woman Within, ZERDOCEAN, maurices, Yelete, HDE, Christal Town, & Avenue. Hurry! Limited time offers. Offers valid only while supplies last.